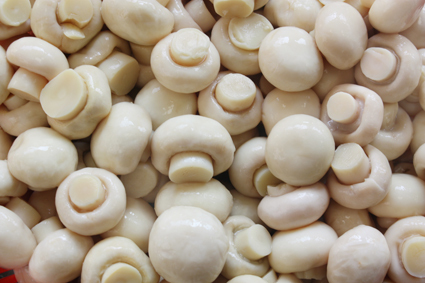 Commercial Mushroom farming has started recently in India, and its popularity is growing day by day and it has become an export oriented business. Mushroom is an excellent source of Protein, Vitamins, Minerals and Folic acid and is a good source of iron for anaemic patients. Similarly, most of the equipment for cultivation of mushrooms is only available at the level of village, As well as cheaper, Any farmer / person if you wanted to cultivate this type of mushroom material The following equipment is required. According to District Business Partnership is nominees. Information About The Button Mushroom Business. The use of casing soil is mandatory for growing Button Mushrooms. As the fungus of compost spreads completely, it is covered with a layer of casing soil. A 1.5 inch thick layer of casing soil plays an important role in converting the fungus into a pin and grow the pin further. The casing soil helps to start the process of growing the pinhead. There should not be any edible ingredient (Sugar etc. )in the casing soil for the pinhead to grow. If the animal dung used as fertilizer is not filtered, fungus spreads in the casing soil without turning into a pin. The casing soil must have the capacity to absorb maximum water. In the process of growing mushroom, the water requirement is fulfilled from the casing soil. If the casing soil cannot absorb the water, the water sprinkled on the bed reaches the compost which will heavily harm the production of mushroom. The air circulation to the lower level of casing till the fungus of mushroom depends on the casing soil. It is the job of casing soil to protect the fungus of compost from water flow, the thrust of dry air and insects/pests. On the whole the production and quality of mushroom depends much on the casing soil. In the casing soil there should not be any stones, pebbles or any sharp objects. The ph level of casing soil should be nearly 7 (Neutral). Do not throw casing crust formation on the mushroom bed. Least good ion exchange should be in the casing soil. Cost of casing soil should be least and must be easily available. In foreign countries, different objects are used in casing soil to grow mushrooms. “Pot” soil is the most important among these. “Pot” is relic of moss found near the lakes. Pot has the capacity of absorbing three times of water to its own weight. That means that 1 kg of pot soil after fully soaked in water becomes 4 kgs. in weight. Because of this special quality of pot soil, there is no need to sprinkle water again and again. In India also this pot soil can be found near some lakes of Kashmir. But no efforts are made in this direction. Here most of the mushroom growers prepare prescribed fertilizers by mixing soils. The best way to treat the casing soil is by steam. Soak the casing soil and bring its heat approximately to 45%. Now fill it into a 6” tall wooden or aluminum box. Keep the boxes in a room and release steam in such a way that the temperature of the whole room remains the same. Increase the temperature of casing to 60 degrees C with the help of steam. The casing soil is pasteurized by keeping the temperature between 60 and 70 degrees C for 6 to 8 hours. If a boiler is not available, the casing soil can be treated with the help of Formalin. 1 liter of pure Formalin (40% of Formaldehyde) is enough for 1 ton of casing wet soil (45 – 45% moisture). For the first 4 to 5 hours, keep the casing soil wet or pour water again and again to wash the casing soil. The Formalin treatment should be done on the terrace of a strongly built room. Spread the casing soil about 15 cm tall on the terrace. Sprinkle Formalin mixed with water on this. Take a clean spade and mix the Formalin with the casing soil. Protect your eyes, hands and legs from the Formalin. Spread a big plastic sheet on the terrace and heap the casing soil on it. Cover the heap with this plastic sheet in such a way that the gas of Formalin does not escape. The Formalin gas does not affect completely if the temperature of the casing soil is below 25 degrees C. In such a case the temperature can be increased by using a transparent plastic sheet and expose it to sunlight. In winters keep the heap of casing soil covered with blankets. When casing soil is to be used, unfold the plastic sheet and spread the soil on it before 3 to 4 days. Shuffle the casing soil 3 to 4 times a day so that the Formalin gas from the lower layer of the soil exhausts. The gas exhausts faster in heat and sunlight. Cover the casing soil with the plastic sheet after the gas escapes completely. Do not leave the soil uncovered or else the pests will contaminate the soil again. 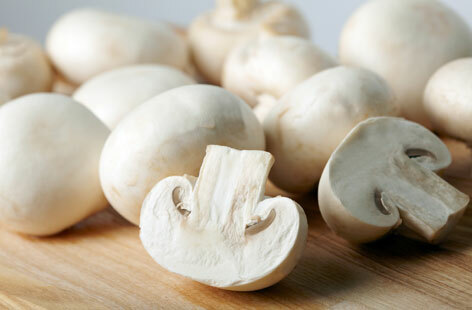 To grow white Button Mushroom (Agaricus Bisporus), compost made from wheat bran or grain hay is used. In the rural areas of Haryana, often Compost is prepared by a long process. Compost can be prepared faster if bulk chambers are available for pasteurization. Do not use if the wheat hay is already wet in rains. 3” long straw is ideal for use. Spread the wheat straw on a clean, well built floor. Wet it with water using a pipe. The upper surface of the wheat straw is sticky. So while pouring the water, shuffle the wheat straw as well so that the lower layer of wheat straw also gets wet. Make the floor in such a way that the excess water dribbles into a pothole. Reuse this water to wet the wheat straw. Sprinkle water with a pipe on the straw continuously for two days. Break some straws to check if the bran is totally wet or not. If it is dry, pour more water. The amount of bran can be reduced to 100 kgs from 200 kgs. To compensate this deficiency, increase the amount of cotton seeds sediments from 60 kgs to 110 kgs. The amount of Gypsum being 35 kgs is enough. Take care that the Gypsum is pure and carries no moisture. Shuffle the straw 4 times so that all ingredients (bran, urea etc) mix well with the straw. Now collect the straw like a loaf of bread. To make a heap of compost in this shape, use three boards of wood or galvanized sheet.Set these 3 boards standing as shown in the figure above. Pour the compost in the empty space in the center. When this empty space is filled up, push the sideboards ahead. Again fill the compost in the empty space created. In this way, push the sideboards every time and make a long heap of compost. Remove the sideboards after the heap is complete. Protect the compost heap from rain. If there is more moisture, the compost may decay. 3 days after the heap is ready, the temperature at the centre of the heap should be 70 - 75 degrees C. as and when the temperature goes above 70 – 75 degrees C, shuffle the heap. At the time of shuffling, check the color, smell and moisture of the compost in every spot. If there is unequal moisture, mix the compost well so that the moisture becomes as required all over. If there is compost with less moisture, you can sprinkle water to get the required moisture. Lumps are formed if the compost is pressed in some places. While shuffling, free up the lumps. While making a new heap, throw the compost in air in such a way that air touches every strand of compost. After making the heap, water streaks are seen on the floor. After first and second shuffle, water can dribble out to about 1 foot. If water is seen in further shuffles, it is a sign that there is more water than required in the compost. Don’t worry if a white insect around 1 cm long is seen around the compost heap. It is the larva of the common domestic fly. It will turn itself into a fly and go away on its own. Generally after the shuffling, the compost on top should go to the middle, the middle compost to the bottom and the bottom layer of compost should come to the top. At the time of the sixth shuffle, the color of the compost should turn to deep brown and the temperature of the heap of compost will not go above 65 degrees C. keep the height and breadth of the heap the same after each shuffle. The compost usually gets ready after 6-7 shuffles. The temperature of the heap of the compost does not rise above 50 – 55 degrees C. its color becomes deep brown (almost black). Take up some hot compost from the center and check it immediately. There should not be any smell of ammonia in it. The ready compost has a special smell and on all its four sides white fungus is found (Fire fangs). This white fungus is helpful in mushroom production. To check the moisture of the compost take a handful of it and press it with all the strength. If slight drops of water are found near the finger openings of the fist, then there is required moisture in the compost. Even if the water drops are not found but the palm feels wet then the moisture as per requirement. But if the water dribbles from the fist when the compost is pressed then the moisture is more than required. To check the smell of Ammonia or any other smell, take out hot compost out of the heap and check immediately. If the sample of compost is taken far from the heap, the smell cannot be detected correctly. If there is even little smell of Ammonia in the heap shuffle it again and check the heap after 3 days. When the compost is ready after all the checks, spread it on the bed of the farm. Open the doors and windows of the shed and let the compost cool and mix the Spone in it on the next day. Chicken poop, horse buns, jaggery nuggets and sugarcane bagasse etc are used to make the compost for button mushrooms. By using these things the cost of making compost can be reduced and increase in the production of mushroom shoots is also possible. But the possibilities of catching a disease increases in the Compost made out of these things. Therefore avoid using these things unless there is arrangement of pasteurization by steam. Instead of wheat bran, straw of grains can be used to prepare compost. But here the process of making compost from wheat bran is only described. Mostly everyone knows about mushrooms but only few may know that there are so many vitamins and nutrients in mushrooms that if they are consumed for a full winter season (3-4 months), it not only helps in recovering the deficiency of nutrients in our body but also deposits nutrients needed for 2-3 months in advance.